At Ice Creams Wheels and Tires, we carry a wide selection of passenger and light truck tires. Our inventory features major brands like Nexen, Toyo, and Falken, with great deals through tire rebates and tire and wheel packages. We also offer used tires with warranties available. Call for a FREE estimate. Rely on the team of experts at Ice Creams Wheels and Tires when it comes to creative tire lettering. Count on our family-owned and operated business for providing excellent service, quality workmanship, and modern auto products. We design and create lettering of different styles and shapes. 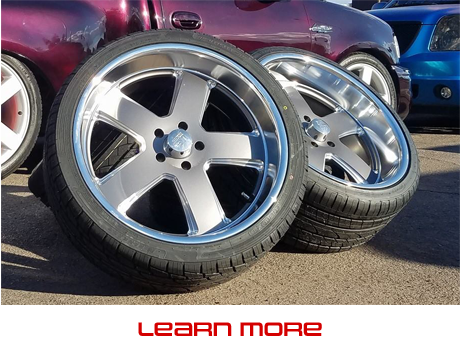 Ice Creams Wheels and Tires offers a variety of wheel repair services. We’re able to ensure quality workmanship on every job because all work is performed in house. Let us take care of your paint and powder coating, curb rash, wheel cracks, bent wheels, and wheel refurbishing needs. If you need assistance for your repair, we may be able to help. 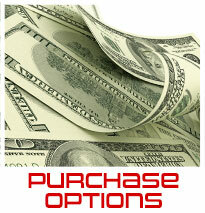 Ask us about available options through Progressive Leasing Snap! Finance. At Ice Creams Wheels and Tires, we keep you moving. 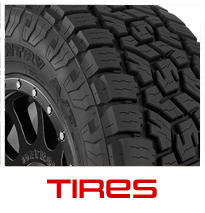 We've been your local tire store and wheel center in Mesa, AZ since 2013. Locally-owned and operated, we sell and service new tires and wheels for Mesa, AZ, Scottsdale, AZ, Chandler, AZ, and surrounding areas. We're conveniently located at 40 East Southern Ave. in Mesa, AZ. See us for tire services, lift and drop kits, wheel alignments, and window tinting. We’re open Monday through Friday 8:00 AM to 6:00 PM, Saturday 8:00 AM to 3:00 PM, and Sunday by appointment. We also have 24-hour emergency service available by calling (480) 352-3786. Take a look at our work and the products we offer. Click any image to begin viewing the photo gallery.